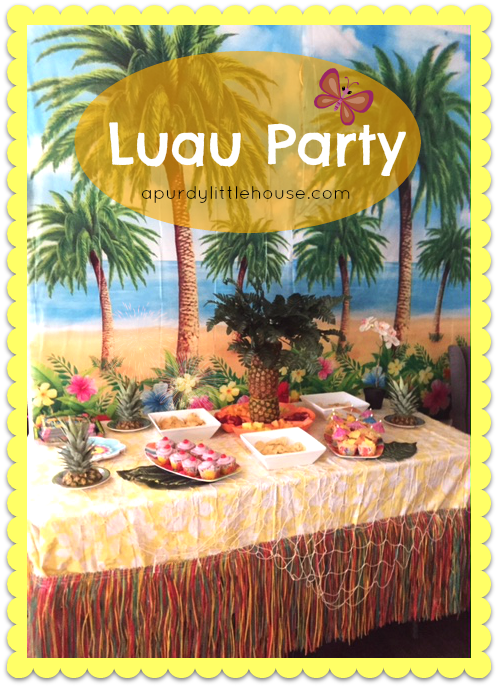 While browsing around at the party supplies store, I came across some amazing luau party decor ideas. One of them was this adorable tiki bar set up. I looked at the price tag, and was shocked to see that the cost was $45.00 (just for the plastic tiki bar frame). Scroll down and I’ll show you how I created this easy DIY Tiki Bar. After seeing the price tag, my wheels started spinning, and my newest DIY project took shape, as I knew I could create something equally as cool, but for a fraction of the price. This is the item I found at the party supply store that inspired me to create my own tiki bar. I knew there was some scrap wood in my husband’s mancave, so I cut 6 pieces. Two of them were approx. 4.5 feet; two were approx. 3.5 feet, and the last two were cut on an 45 degree angle to create the thatched roof. The last two were cut to approx. 13 inches. Total cost tally so far: $0.00. Once I glued and screwed my pieces together, I decided it needed extra stability, so I added a brace piece across about 5 inches from the bottom. They pieces I used are different sizes, since I was just using what scrap wood I had on hand. Total cost tally: still $0.00. Next, I decided I wanted to paint the bar frame a fun colour. I wanted it to be pink (so that I could also use this for another project……don’t worry……..you’ll see soon enough……). I didn’t have any pink paint on hand, so I had to bite the bullet and buy some. Total cost tally: $1.00. Once it was all painted, I attached some bamboo using jute twine to make the roof. I purchased the bamboo at the dollar store for $2.50. Here is a better pic of the almost finished tiki bar. 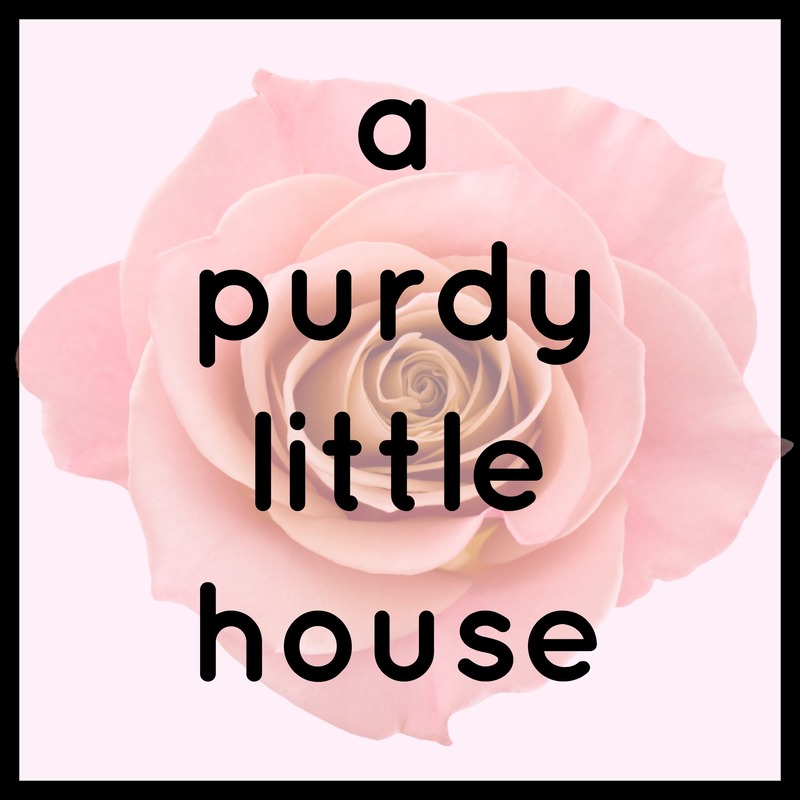 Oh gosh….house is a mess….avert your eyes….avert your eyes. Lol. For the thatched roof, I used child’s size hula skirts. Also from one of my favourite stores of course. They were a dollar each. For the roof, I used a large cardboard box, and duct taped the hula skirts to the roof, leaving a little overhang. Then, the bar was simply placed on a hall table, and the tiki bar was done. The kids were absolutely smitten with it. I actually wasn’t able to snap any pictures without a kid in it, because it was constantly in use. The kids all wanted a turn being the bartender throughout the party, and it ended up being a fun and unexpected backdrop for photos. I took a pic of each party guest behind the tiki bar alone, and then one with the birthday girl. It was hilarious. I found a fun tablecloth to put on the table, and used adult sized hula skirts for the bottom. I attached them with push pins to the underside of the table. I also used various Luau flowers and fun elements to dress it up, along with the battery operated lights at the top. It was such a fun and inexpensive project that took me only about an hour to complete, and cost 1/6 of the store price ($7.50 vs $45.00). Woo hoo! DIY win 😉 It was also so neat watching it all come together, and seeing what a hit it was with the kids. I can’t find child size grass skirts for $1!! Where did you find yours? I am making this for our Family Luau while our son is home on leave from the Air Force. I love the finished product you created – can’t wait to make our own! Hi Annette. I’m so glad to hear that you’re trying this fun DIY project. I’d love to see how it turns out. For the grass skirts, I was lucky enough to find them at the dollar store. They also have them at party supply stores or on amazon. Hi I’m making this for my moms luau birthday party only thing I had to buy was the skirts for the roof from the dollar store. My question is how long are the boards with the 45 degree angle? I did all my measurements and cuts but those I can’t figure out and already wasted wood because I cut those two to short. Thank you for sharing this diy. Hi Tara. Your mom is one lucky lady to have you building a tiki bar for her party. I’m not sure if you’re talking about the smaller pieces that hold up the roof or the roof itself. If it’s the small pieces, I don’t recall what height they were, but you can make them whatever height you want that will suit your tiki bar’s needs. I believe mine were about 3 feet tall. For the roof, I used a piece of cardboard for the part that’s on a 45 degree angle. I was lucky and had a piece of large cardboard lying around waiting to be recycled. This looks like a nice a fun project, can you tell me what kind of paint you used and where did you buy the paint? How did you attach the cardboard to the bamboo poles? Hi Lacey. Thank you for your question, I used duct tape. 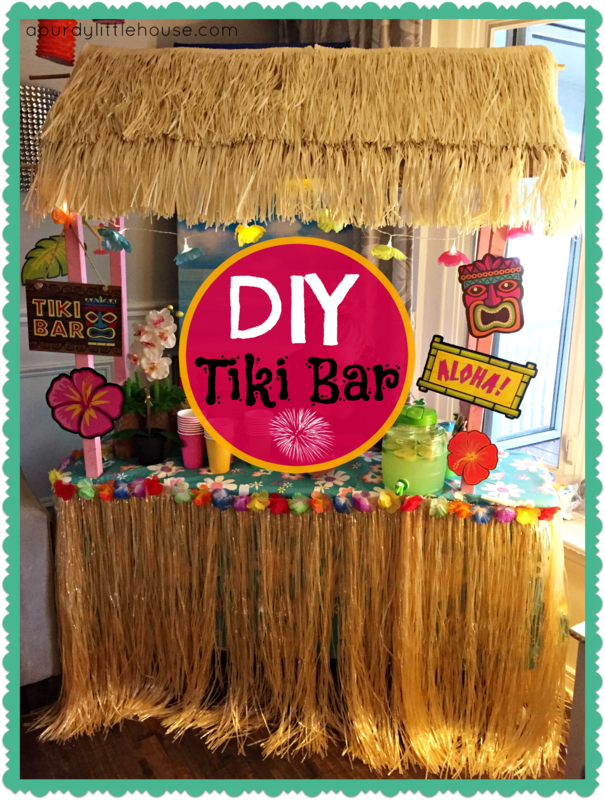 Do you have a DIY video for tje tiki bar? Hi Elena. 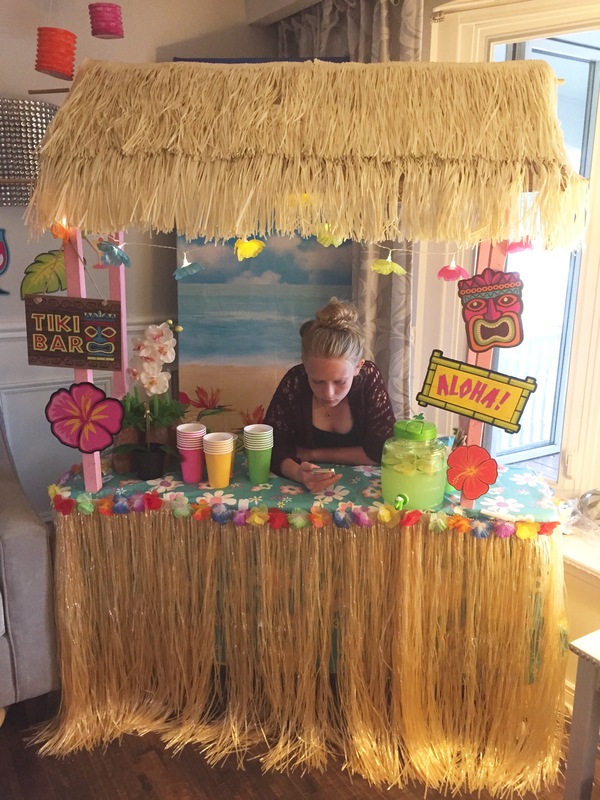 I actually don’t, but I’m planning on doing another blog post soon where I repurpose the tiki bar into a lemonade stand. I’ll be sure to include all the step by step instructions. Stay tuned. Hi, I was wondering about how wide your finished product was. Thanks!!! Love it! Just made it for our party for a total of $8! I LOVE this idea! I am planning a luau party for my twins 10th bday and like you said in your post, the tiki hut price is a little too much at the stores. I will definitely build my own. Thanks soo much!! Love this idea! My husband (pawpaw) is making one for our Granddaughter, Raylee’s birthday party at our house! We just love to make things like this! Thanks so much for the post! That’s awesome sherry ???? I’m sure she’s going to love her Hawaiian party. How stable was it on the table? Did you adhere it in some way? I think I’d worry about the kids scooting it off the table when they were playing. It was completely fine for my kids and all their friends during the party and for about two weeks afterwards (We left it up since they liked it so much). I suppose if there are VERY rambunctious kids running around, it could be secured to the table using an L bracket ???? Hi rae. Thanks so much for your comment. I bought them at the Dollarama, which I believe is a Canadian chain, but I’ve also seen the same ones st the dollar tree. Thanks so much for your comment. The 8 foot long 2×2’s cost around $2.88 each, so they are reasonably priced. I used two for this project.